Pet Caricatures are fun, whimsical and timeless. An original piece of art specially created around your puppy, kitten, bird or armadilo! We incorporate descriptions and requests. As always you art-direct the piece so it is your creation too! We also draw these live at vet events, dog shows, cat shows, pet birthday parties and more. Contact us to receive more info. We waould love to draw your little critters or big ones! 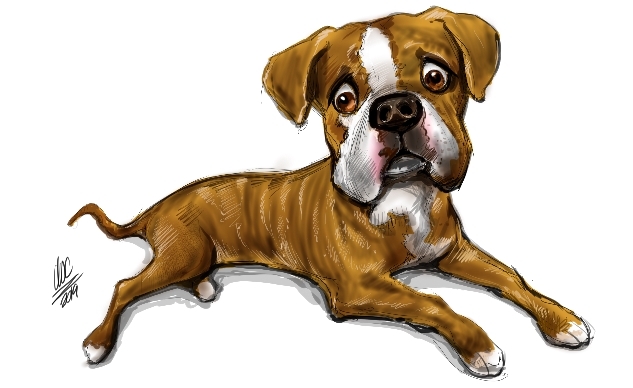 All dogs, cats and other lovable creatures that we have drawn in the past have been very happy with the caricatures. Seriously. We have thousands of testimonials from dogs and cats worldwide!! Humerous and whimsical, and hand drawn. Digital caricatures are created for your printing or screen usage. These caricature illustrations can also be transferred to t-shirts, coffee mugs, calendars and any other medium of your choice. Studio caricatures are superb corporate gifts, wedding presents and more.